How are you? I feel like we're rarely together these days. I honestly can't tell you how much this flu has knocked me for 6, but tonight is the first night in WEEKS that I have felt full of energy, so blog post here we come!! A couple of weeks ago, my nails were in such bad shape (peeling, splitting), that I felt I had no choice but to nub them all and turn to Trind. Trind helps repair and strengthen nails, and a lot of my blogger friends swear by it, so I decided to finally give it a try. However, the nubbins were sad. 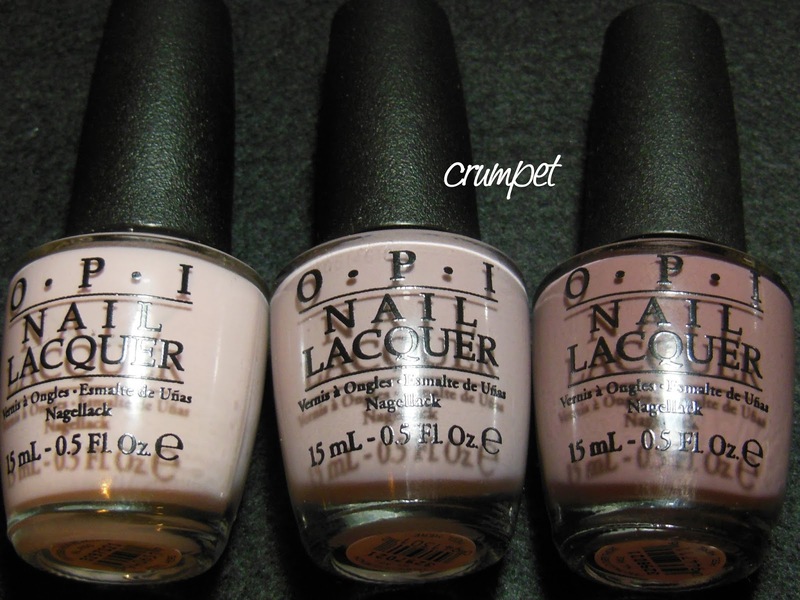 They felt pitiful and naked, and flirted shamefully with the new OPI Brazils sitting in a box on the nail desk. 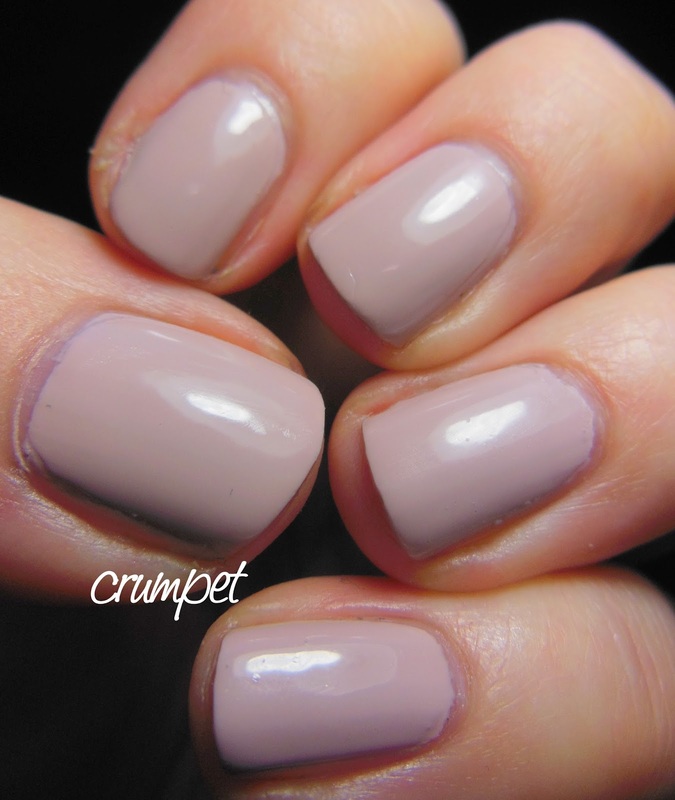 After a LOT of cooing and flattery, I finally decided that Don't Bossa Nova Me Around was probably the ONLY polish I could get away with wearing. DBNMA is awesomely named and awesome. It reminds me a lot of Steady As She Rose from the Pirates Collection. 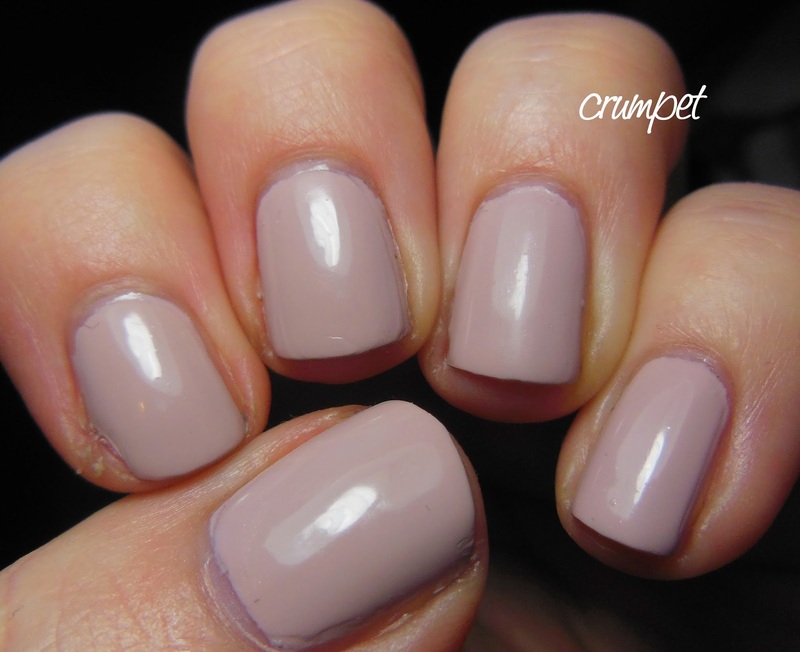 It's a beautiful creamy base with hints of pink and it's just heavenly. Elegance in a bottle. 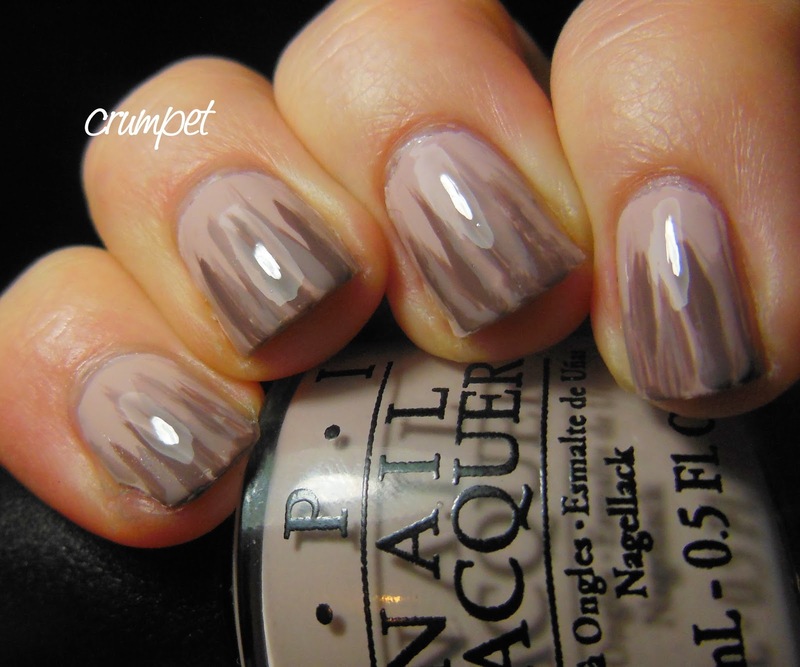 I then decided to add the 2 other taupes to the mix - Taupe-less Beach and I Sao Paulo Over There - for a little bit of nail art. 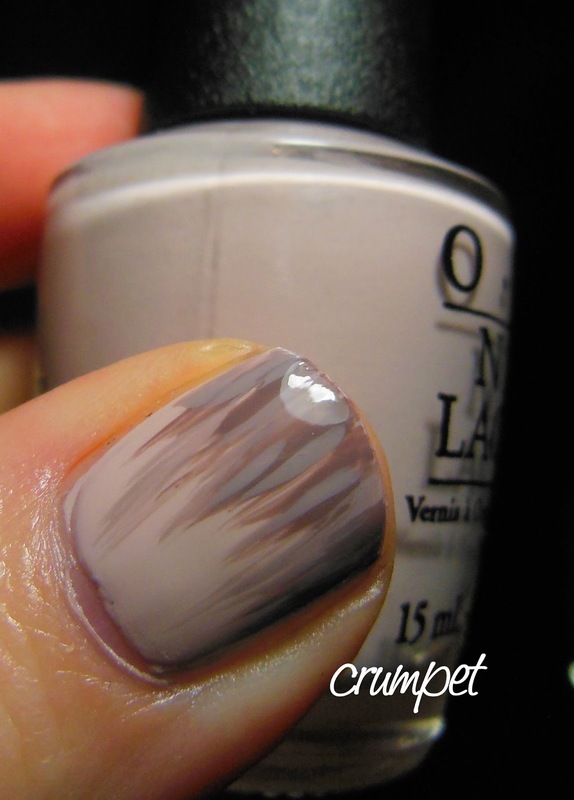 My nubbins must have reminded me of Sammy The Nailasaurus, but I didn't want to do a waterfall. Instead, to try and distract from the lack of length, I went for a reverse waterfall. 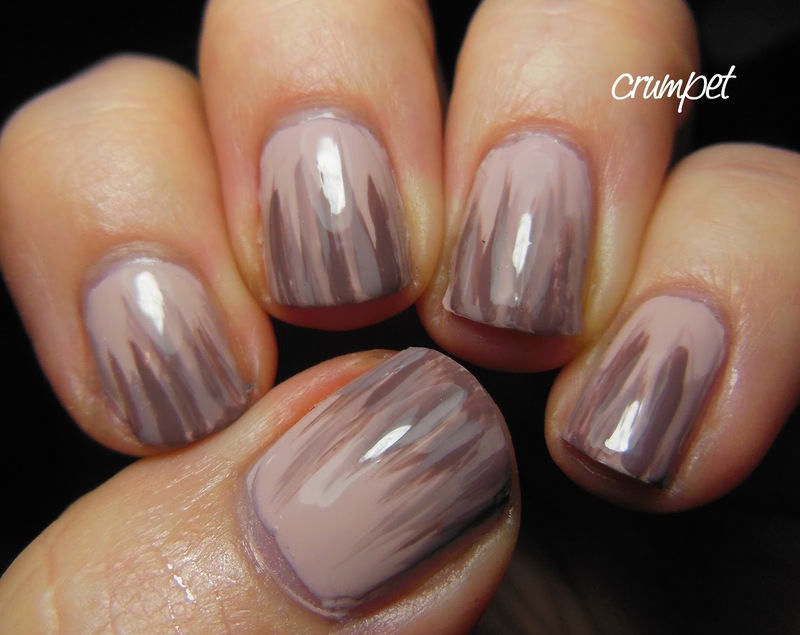 Waterfall manis are really easy. The reverse one is still easy, but is logistically trickier. As the brush has to start at the tip of the nail, it's very much about painting from unnatural angles, and as a result the brushwork probably isn't as crisp. That said, I think these colours work beautifully together in their shades of chocolate-coffee-caramel-biscuit awesomeness. Just a LITTLE bit longer, and then we can crack open the colours! !